A positive digital experience is an absolute must whether you’re the owner of a large or small business. There’s no question that your business must have an online location for customers to visit. 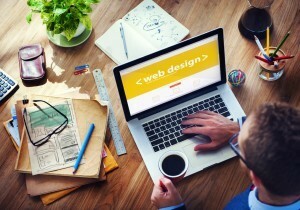 A simple website can work as long as it is both aesthetically appealing and functional. Over time, web design has shifted from designing a site purely for visual appeal to one focused on a positive user experience. Keeping these in mind allows a designer to create a site that appeals to potential employees, consumers, stakeholders, and business buyers among others. What do you hope to accomplish by creating your site? Creating a website just because everyone else is doing it is vague. You need to look at what you hope to achieve by having the site, whether that’s making leads, educating visitors, or converting visits to sales. These goals will guide your design to the appropriate path as it mixes with the business’s mission. Take a look at how the visitor got to your site. Did they find your site through a search engine? Maybe they clicked on a link in an e-mail promotion. Discover what motivated them to visit the site instead of merely scrolling by. You’ll need to ensure that the visitor can find what they’re looking for. This could be investors, customers, or information seekers. The site needs to appeal to all users, not just one specific type of visitor. Help your visitors get exactly where they need to go. Keep things simple and eliminate extra content that doesn’t serve a useful purpose. Visitors tend to prefer fewer options because it is easier to find what they’re looking for. Make calls to action stand out by making them bigger, bold, or a different color. Your priorities will vary based on your site’s purpose. If you want visitors to read your WordPress blog as soon as they arrive, make the blog the focus. If you have a plethora of information that visitors can benefit from, focus on making the search bar prominent. Keep the journey for users simple and guide them where you want them to go.